Children will love to build and create with this 24-piece wooden block set from Plan Toys. 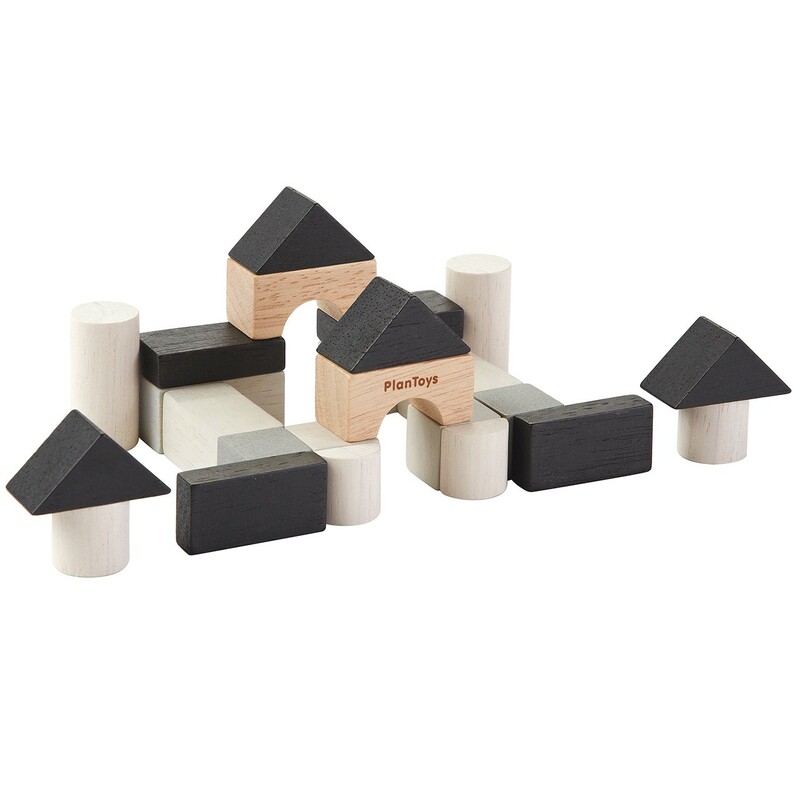 The mini blocks come in eight different shapes and 5 different colours, from natural wood to white, greys and black. The combination of shapes will enable your child to build pretty much anything and the monochrome colours will tie in with bedrooms and playrooms with a muted colour scheme. 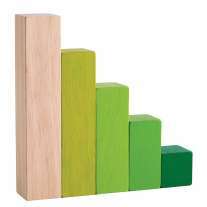 Children will enjoy using these blocks to play and learn in a wide variety of ways - build towers and walls, create patterns and pictures, use the blocks as ingredients in a play kitchen or as maths counters, and sort by colour and size. 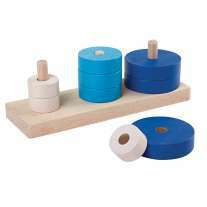 The possibilities for play and learning are endless with classic wooden blocks. 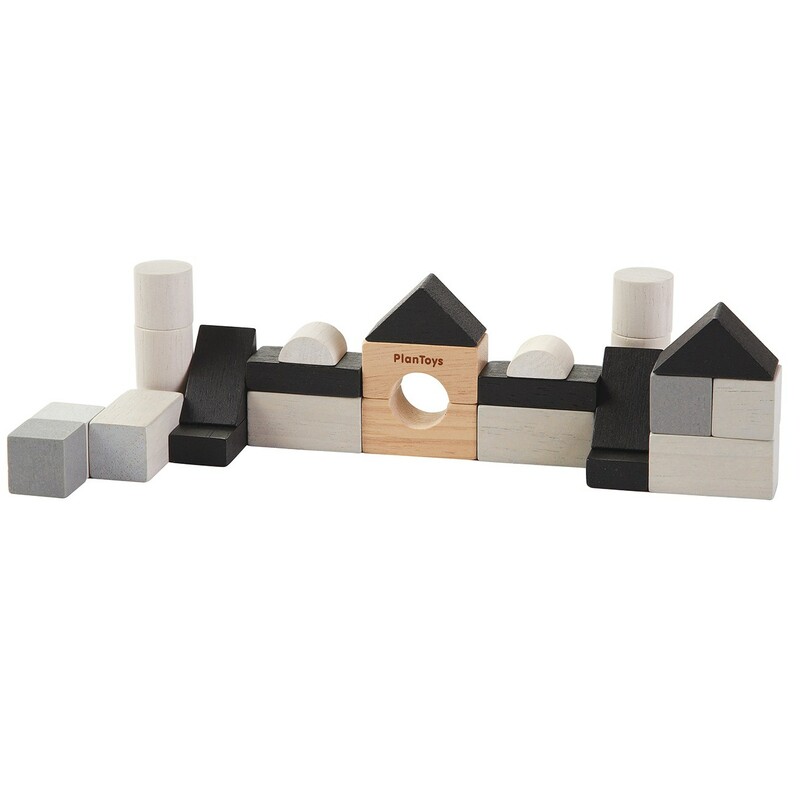 Enjoy this block set on its own or combine with other toys and blocks for extended play opportunities. This set comes in tin, making it a lovely gift set for a child and handy for taking out and about. 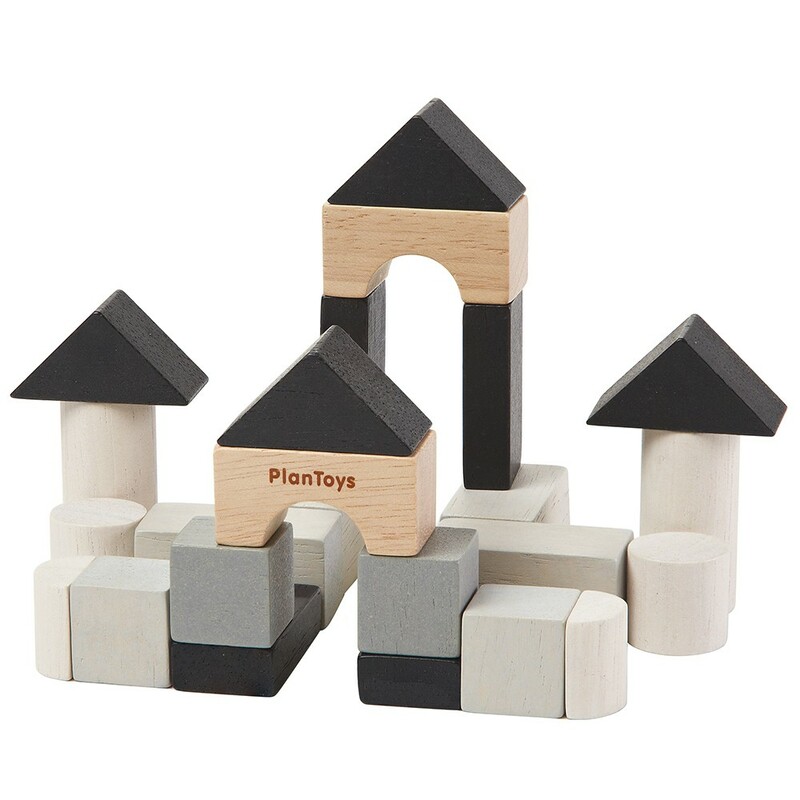 Team up with a range of new and exciting learning toys from Plan Toys to help your child learn as they play. 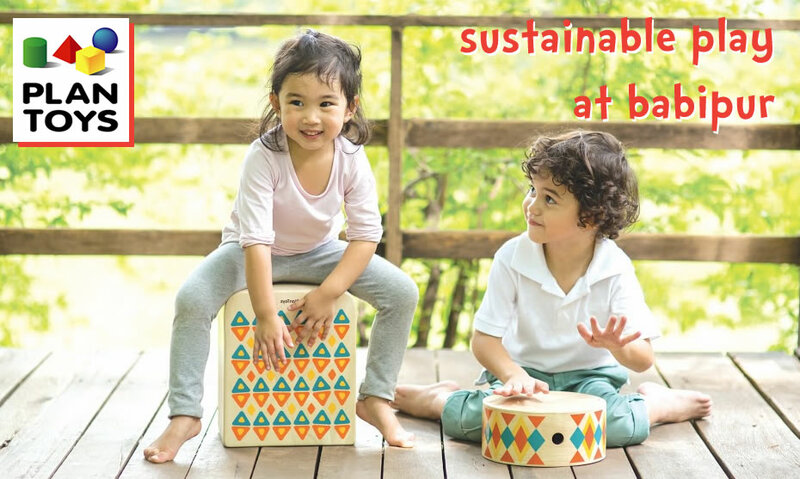 Suitable from age 3+. Not suitable for children under 3 due to small parts. The cube blocks measure 1.8cm x 1.8cm x 1.8cm.